COLORBOND® steel – it’s been tested to withstand everything from drenching downpours to scorching sun for over 45 years in some of Australia’s most extreme conditions. The oven baked finish of COLORBOND® steel resists flaking and blistering in normal weather conditions. Coupled with this, the corrosion resistant ZINCALUME® steel base ensures long life performance. COLORBOND® steel is available in a range of 22 contemporary colours, which celebrate the natural beauty of the Australian landscape. From our mountains to the outback, from our creek beds to our sand dunes, COLORBOND® steel captures the light and energy that make Australia’s colours so unique. With 22 inspired colour choices ranging from traditional to contemporary, COLORBOND® steel provides the ideal palette from which to create the desired look and feel for your home and garden. 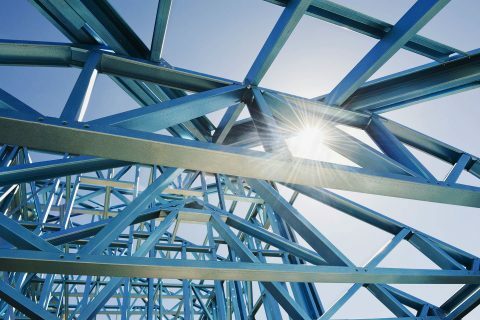 Steel is 100% recyclable and is one of the world’s most reused products. It’s lightweight, making it more efficient and cost effective to transport. It’s delivered pre-cut to building sites so there’s less on-site wastage and less impact on the site and surroundings. COLORBOND® steel provides good looks for you and long term advantages for the environment by enabling more efficient use of resources.